The Board granted institution of covered business method review of a personal computer lottery game patent under 35 U.S.C. § 101. "[T]he concept of a lottery is well known, whereas the steps attributed to the processor—generating an amusing game, controlling whether the player will win or lose, and communicating the outcome with a display—are analogous to actions performed by a carnival pitchman thrilling the crowd at a shell game booth, but all the while completely aware of the outcome of the purported game of chance. At this stage of the proceeding, we determine that Petitioner has established sufficiently for purposes of this decision that reproducing the experience as a computer simulation provides 'nothing significantly more' than applying an abstract idea on a generic computer system, which is not enough to transform an abstract idea into a patent-eligible invention." The court granted defendant's motion to dismiss plaintiff's infringement claims because plaintiff's emergency call system patent was invalid for lack of patentable subject matter and found that the claims were directed toward an abstract idea. "[T]he Patent and its representative claims describe a computerized system of tracking and aggregating caller information. This is essentially the abstract idea of organizing phone call data. . . . [I]t is a longstanding practice, one that can be performed by a human, to take account of phone calls, where they might be coming from, and to use that data accordingly." The court deferred ruling on defendants' motion to dismiss plaintiff's infringement action based on a prior consent judgment and a parallel contempt proceeding. "In order to ensure an orderly and efficient resolution of the contempt proceeding and this patent infringement proceeding, this court finds it necessary for the parties to conduct discovery that addresses both the admitted violations of the Consent Judgment and any alleged patent infringement. . . . Defendants’ Motion to Dismiss in this case is based in large part on the preclusive effect of the Consent Judgment entered between [the parties] in [another] case. . . . This court does not find as a matter of law that the Consent Judgment requires dismissal of this patent infringement suit at this stage of these proceedings. . . . Defendants are correct that the Consent Judgment provides that 'Defendants and their affiliated companies shall not infringe U.S. Patent No. 5,618,945 . . . .' Thus, any infringement of the patent found in this case would also constitute a violation of the Consent Judgment entered in the previous case. However, this court does not find that this provision of the Consent Judgment makes it such that a motion for contempt is the only mechanism for prosecuting infringement of the patent by Defendants." The Board denied the patent owner's request for rehearing of the decision to institute CBM review and rejected the patent owner's argument that institution was improper because the Board previously determined the challenged patent was not a CBM patent. "The Decision acknowledges that Petitioner previously filed a petition for review of the ’464 patent, and that we denied institution because Petitioner did not demonstrate the ’464 patent is a covered business method patent. The Decision acknowledges that Patent Owner argued that the Petition raises substantially the same argument presented in the 84 Decision to Institute, but concludes that trial should be instituted nonetheless based on the totality of the circumstances. Patent Owner has failed to demonstrate this is an abuse of discretion." The court granted plaintiff's motion in limine to preclude evidence of the PTAB's decision to institute inter partes review of the patent-in-suit. "[Defendant] opposes the motion, maintaining that the inter partes proceedings are part of the patent prosecution history and probative of the relevance of peritoneal dialysis art. For the [PTAB] to institute an inter partes review, the petitioner need only show 'a reasonable likelihood that the petitioner would prevail with respect to at least 1 of the claims challenged in the petition.' By contrast, patents are presumed valid in litigation, and a party challenging a patent’s validity must prove invalidity by clear and convincing evidence. Further, after the PTAB instituted inter partes review upon the petition of a non-party to this litigation, that case settled and the IPR proceedings were dismissed. The parties never fully briefed the issues and the PTAB never rendered a decision. Under these circumstances, the institution of the IPR proceeding based on a different standard and concluded without decision on the merits has little probative value. Moreover, the evidence would be confusing to the jury and prejudicial to [plaintiff] without a time-consuming explanation of the PTAB procedures." The court granted defendant's motion to disqualify plaintiff's infringement expert because of a conflict of interest based on the expert's past work for defendant in two prior ITC investigations involving the same accused products. "Both sides agree that Defendant had a confidential relationship with [the expert]. Both sides also agree that [the expert] obtained confidential information during that retention. . . . The real dispute centers around whether the prior work was relevant to the current case. On that point, the Court is heavily influenced by the fact that the parties agree that the same devices accused in this case were accused in the earlier matter. Furthermore, the time frames are nearly overlapping. . . . Plaintiff has not presented any statement from [the expert] explaining why his prior work is not relevant to the current case." Following summary judgment of noninfringement and invalidity, the magistrate judge recommended partially granting defendants' motion for attorneys' fees under 35 U.S.C. § 285 because plaintiffs' litigation position on their infringement expert's methodology was objectively unreasonable. "Although this court determined [plaintiffs' expert] was qualified under the liberal interpretation of an expert under [FRE] 702 because of his previous and current experiences, its conclusions regarding his methodology were the opposite. This court determined that his entire expert report was not based on any reliable methodology, and strongly criticized his entire infringement analysis, both literal and under the doctrine of equivalents for both patents, as conclusory, without analysis of how each claim element read on or was met by the accused ride. . . . Such criticism demonstrates that [the expert's] report so lacked any reliable methodology under the Daubert analysis and [FRE] 702 that it should have been apparent to plaintiffs. Therefore, plaintiffs' reliance on [their expert's] report was objectively unreasonable." The court granted defendant's motion for judgment on the pleadings that plaintiff's fighter jet motion-tracking patent was invalid for lack of patentable subject matter and found that the claims were directed toward an abstract idea. "The Court must decide whether a system of generic inertial sensors and a receiving element, combined with an instruction to solve a navigation equation, satisfies the first part of the Alice test. . . . Derived from Newtonian principles of motion and 'borrowing the mathematics that an inertial navigation system uses to track an airplane relative to a rotating earth,' the navigation equation is undoubtedly a complex mathematical concept, and a solution to the problem of tracking two moving objects in relation to each other. However, the Court finds that this concept is a 'building block of human ingenuity,' and the solution lies in the mathematical formulae, not the generic devices listed in the system claim." The court granted defendant's motion to dismiss plaintiff's infringement claims on the basis the asserted business intelligence patents claimed unpatentable subject matter and found that the claims were directed to abstract ideas. "The invention allows for the gathering of information, the sorting and classification of that information, and report generation based on the information. . . . [T]he patent is essentially a 'method of processing a query and returning results, deriving content from those results, and then organizing and delivering that content somewhere.' Identifying, organizing, and presenting stored information is an abstract idea that is 'devoid of a concrete or tangible application.' . . . [D]ata storage is a 'method that can be performed by human thought alone' and is therefore 'merely an abstract idea [that] is not patent-eligible under § 101.' Similarly, the 'idea of collecting information in classified form, then separating and transmitting that information according to its classification' is an abstract idea that is not patent-eligible." The court denied plaintiff's motion for summary judgment that its call center patent was not unenforceable for inequitable conduct and rejected plaintiff's argument regarding a lack of materiality. "Plaintiff argues that the PTO itself has already answered the question of whether it would have allowed the [patent-in-suit's] claims had it been aware of the non-disclosed information. [Nine months ago], [plaintiff] copied the 'exact claims from the [patent-in-suit]. . . into [a new] pending [patent application], and the same Examiner from the [patent-in-suit] allowed the claims after considering . . . [the prior art] patent invalidity contentions and charts (and thus, the charts Defendants allege are but-for material)' and other relevant litigation documents that [plaintiff] submitted from this case. . . . It is unclear what appropriate action a patentee accused of inequitable conduct can take at the PTO to cure the alleged problems after a patent has issued, but the Court is not convinced that Plaintiff’s solution is it. The Court does not endorse Plaintiff’s method of adding the challenged claims to a separate patent application, providing the previously withheld references to the examiner, and waiting to see whether the examiner will accept the claims a second time, in the second patent." The court granted plaintiff's motion for summary judgment that defendant's on-demand media bookmarking patent was invalid for lack of patentable subject matter because the claims were directed to abstract ideas and lacked an inventive concept. "The [asserted] patent claims a method of creating a 'bookmark' to allow users to start watching a program on one device, then resume the program at the same point on a different type of device. . . . [W]hether the process was novel does not factor in the 'abstract' analysis. A novel abstract idea is still an abstract idea. . . . [T]he [patent] claims are directed to the abstract idea of bookmarking media files across devices, despite the presence of a server and a client. . . . [T]he court has no basis on which to find that the recited 'media-on-demand system' is anything other than a generic server/client system, nor that the 'media-on-demand server' is anything other than a generic server. . . . [T]he court fails to see how a bookmark can 'fundamentally alter' a file when it is replaced with a new bookmark whenever the user watches a part of the video. Moreover, the only actual change to the data is an update to a video’s starting point to account for any viewing activity from a different device, and such a change is more of a 'manipulation' or 'reorganization' than a 'fundamental alteration.'" The court granted defendant's motion to exclude the opinion of plaintiff's damages expert regarding apportionment using forward citation analysis. "Defendant seeks to exclude [the expert's] first apportionment methodology based upon academic literature suggesting that a patent’s value is strongly correlated with the number of times that patent is cited as prior art by future patents. . . . Most problematically, [plaintiff's expert] offers no explanation as to why the forward citation methodology is an appropriate measure of the value of the patents at issue in this case. Without facts tying her analysis to the facts of this case, [her] reliance on a methodology discussed in empirical economics literature has little more probative value than the '25 percent rule of thumb' and Nash Bargaining Solution analyses that the Federal Circuit rejected. . . . Surely a patent’s objective quality cannot be based on the number of times an inventor cites himself in prosecuting related patents. . . . Equally troubling is [her] assumption of a six-patent portfolio comprised of the six patents-in-suit in her apportionment analysis. . . . [T]his methodology does not account for the value of the accused features as a portion of the accused products, but rather demonstrates only the value of each patent-in-suit relative to each other." The court granted defendant's motion for summary judgment that plaintiff's configuration settings migration patents were invalid for lack of patentable subject matter and found that the patents lacked an inventive concept. "[Plaintiff's] invention is not 'necessarily rooted in computer technology' in the same sense as a server computer specially programmed to display a hybrid web page. True, the problem of transferring user settings from one computer to another did not arise until computers were invented. And true, [plaintiff's] invention necessarily requires a 'source computing system' and a 'targeting computing system.' The nature of the process that [plaintiff's] invention claims, however, is a human one. . . . [T]he patents themselves explain that migration is a manual process predating the invention. . . . [Plaintiff's] patents explain that one of primary problems with the manual migration process is that it can take a long time. The other problem is that the potential complexity of the migration could lead to errors. . . . 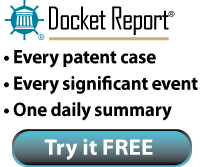 Using a generic computer to perform a manual task more efficiently and accurately than a human could is not a patentable idea, and courts have routinely invalidated patents asserting such claims." The court granted defendants' motion for judgment on the pleadings that four of plaintiff's five mass transit payment system patents were invalid for lack of patentable subject matter and found that the claims were directed to an abstract idea. "Stripped of the technical jargon that broadly describe non-inventive elements (e.g., the 'interfaces' and 'processing systems'), and further shorn of the typically obtuse syntax of patents, the patents here really only cover an abstract concept: paying for a subway or bus ride with a credit card. . . . [Plaintiff] offers no authority for why a process that simply speeds up its performance, without more (meaning without actually inventing something that makes performance faster), makes the underlying idea of the transaction itself any less abstract." The court granted defendant's motion for judgment on the pleadings that plaintiff's distributed processing patents were invalid for lack of patentable subject matter and found that the claims were directed to abstract ideas. "[Plaintiff] argues that the claims cover a system of networked computers that communicate with each other and coordinate tasks through a hierarchical structure, and that these computing-oriented and computer-specific limitations take the claims out of the realm of the abstract. . . . The patents-in-suit recite the abstract idea of distributed processing akin to the military's command and control system, a longstanding and intuitive practice used by many large hierarchical organizations that value speed, efficiency, reliability, and accountability. . . . [Plaintiff] argues that the patent claims are not directed towards an abstract idea because they are not directed to a mathematical algorithm, a fundamental economic practice, or a longstanding commercial practice, and instead address challenges particular to distributed computer networks. [Plaintiff's] attempt to attach talismanic significance to the mathematical algorithm, fundamental economic practice, and longstanding commercial practice categories, however, has already been rejected by the Supreme Court. . . . [Plaintiff's] arguments about the challenges of mission-critical computing and distributed computing, and the benefits that distributed processing using networked computers provides over previously available computing systems, are also unavailing — that an abstract idea is a good idea does not make it any less abstract." The court denied defendants' motion to transfer venue from the District of Delaware to the Northern District of Georgia because defendants' sworn statement about their principal place of business was inconsistent with defendants' statements in other cases and the court found such inconsistent statements were made in bad faith. "In support of their claim that this suit might have originally been filed in the Northern District of Georgia, [defendants] provide the sworn statement of . . . intellectual property counsel for [defendants]. . . . [that] 'the principal place of business of all of the . . . [affiliated defendants] is [one defendant's] headquarters in Atlanta.' . . . But [plaintiff] has produced for the court several inconsistent statements made by [defendants] in previous litigation that severely undermine the credibility of [defense counsel's] self-serving statement. In particular, in a case in this District before The Honorable Sue L. Robinson, the same thirty-two [defendant] entities-then as plaintiffs-stated in their declaratory judgment complaint that each of the regional entities had their principal places of business in their regional home . . . . . . This doublespeak -- talking out of both sides of their mouth -- is abhorrent to the interests of justice, which of course is one of the pillars of the transfer analysis. . . . When it suits [defendants] to litigate in Delaware, it takes one position. . . . When [defendant] would prefer to litigate elsewhere, it takes a different position. This is, in the court's view, bad faith. . . . [T]he court must tailor a remedy to adequately address the harm. Here, the court finds that denying [defendants'] motion is a narrowly tailored remedy." As the order summarized above demonstrates, arguments and statements offered in one case can impact the course of litigation in other cases. Docket Navigator can help identify positions a company has taken in past or current litigation. For example, to view orders on motions to transfer venue in cases involving the Cox defendants discussed above, click here. To view orders in cases involving a different company (or companies), or orders involving different types of motions, click the link below then click the pencil icon next to the “party” or “type of court document” search criteria at the top of the page. The court denied defendant's renewed post-trial motion for judgment as a matter of law that plaintiff's data storage patent was invalid for lack of patentable subject matter. "The § 101 issue has already received full and fair treatment. To allow parties, in post-trial motions, to entirely reargue the merits of issues that have already been fully addressed during the case would potentially throw open the flood gates to repetitive post-trial motions. This Court has concerns about materially increasing the burden of post-trial motion practice on the parties and the Court, should this procedure be welcomed and made routine." The court set aside the jury's $532.9 million verdict and ordered a new trial on damages because the jury received an instruction on the entire market value rule that was inapplicable inasmuch as plaintiff's damages case was based on apportionment. "At trial in this case and at [defendant's] request, the Court instructed the jury on the substantive legal rule known as the entire market value rule. . . . [Plaintiff's] damages model — with a degree of oversimplification — apportions familiar inputs to the royalty base and rate calculations by using the results of two consumer surveys . . . . In other words, through the use of survey questions, [plaintiff] attempted to apportion for the jury 'the incremental value that the patented invention adds to the end product.' . . . [T]he confusion created by the [entire market value instruction] warrants a new trial on damages in this case. The Court is persuaded, in the clarity of post-trial hindsight, that [its jury] instruction may have created a skewed damages horizon for the jury. . . . The instruction was not an incorrect statement of law. However, it was inapplicable to the facts of this case." The court denied defendant's motion for leave to file a motion to reconsider an earlier decision denying defendant's motion for summary judgment of indefiniteness in light of a recent Federal Circuit decision. "[Defendant] points the court to the Federal Circuit’s recent decision in [Williamson v. Citrix Online, LLC, Case No. 2013-1130 (Fed. Cir. June 16, 2015) (en banc)] which overruled [Lighting World Inc. v. Birchwood Lighting, 382 F.3d 1354 (Fed. Cir. 2004)] and changed the presumptions that apply to means-plus-function claims. That is well and good. But the court denied the motion for summary judgment at-issue in light of its claim construction, where the court determined that the plain and ordinary meaning applies to the term 'data tracker.' Because the court had already decided that the term 'data tracker' was not indefinite, it denied the motion for summary judgment on that basis, rather than on the merits of Lighting World." The court granted defendant's motion to exclude the testimony of plaintiff's damages expert regarding a reasonable royalty scenario for applying the Nash Bargaining Solution. "The [Federal Circuit] ultimately held that NBS theories should be excluded except in the unlikely circumstance that a 50/50 split is shown to fit the particular facts of a case. . . . [Plaintiff's expert] similarly fails to tie the 50/50 split to the specifics of this case or to explain why such a split would be reasonable — other than to invoke a boilerplate assertion about the relative bargaining powers of the parties. What he does is nothing more than to start with an assumed 50/50 split — exactly what the Federal Circuit found erroneous in his [previous] analysis." Following remand, the court granted defendant's renewed motion for attorney fees under 35 U.S.C. § 285 and found that plaintiff's claims were exceptionally weak. "In comparing this case to the many patent cases over which this Court has presided during the past 22 years as a federal judge, [plaintiff's] litigation position stands out as a particularly and unusually weak case on the merits. The arguments advanced by [plaintiff] bore no relation to what the [patent-in-suit] disclosed and covered. The claim language, specification, prosecution history, inventor testimony, and [plaintiff's] own expert testimony posed major obstacles to [plaintiff's] success on the merits. [Plaintiff] must have known that the odds of winning this lawsuit were very slim. . . . [A]lthough [defendant], in its original motion for attorney’s fees, did not establish by clear and convincing evidence that [plaintiff's] claims were objectively baseless, it has shown by a preponderance of the evidence that [plaintiff's] litigation position was exceptionally weak." Following dismissal of plaintiff's actions for Rule 11 violations, the court granted defendants' motion for attorney fees under 35 U.S.C. § 285 and rejected plaintiff's argument that Rule 11 prohibited an award of fees against a represented party. "Plaintiff contends that [awarding fees] would undermine Rule 11(c)(5)(A), which provides that fees should not be assessed against a represented party for a violation of Rule 11(b)(2). . . . Plaintiff was unable to cite any cases supporting its proposition. One of the factors to consider in deciding whether a case is exceptional is 'objective unreasonableness (both in the factual and legal components of the case).' An objectively unreasonable legal argument is therefore an appropriate consideration in declaring a case exceptional, even if the party is represented." The ALJ granted respondent's motion to disqualify complainants' counsel because the Canadian firm of the same Swiss verein/association was respondent's current counsel. "[T]he definitions of 'firm' or 'law firm' are broad enough to include a Swiss verein structure. [The verein] holds itself out to the public as a single law firm, but says that it is divided into 'Legal Practices.'. . . The undersigned concludes that the Swiss verein . . . is a 'firm' or 'law firm” within the meaning of Model Rule 1.0(c). Because this definition is met, the two Model Rules regarding conflicts with a current client and imputed conflicts among members of a firm apply here, since no party denies that, at a minimum, [The Canadian firm] has been representing [respondent] while [the US firm] has been concurrently representing Complainants. [The Canadian firm's] representation of [respondent] is imputed to [the US firm]. [The US firm] is therefore banned under the Model Rules from helping Complainants bring claims against [respondent] in this Investigation. . . . [Counsel's] continued representation in the face of a direct conflict would both contradict this public image and impact negatively on the law profession as a whole." In the first six months of 2015, district courts ruled on 22 motions for summary judgment of invalidity based on 35 U.S.C. § 101. That is only one fewer decision than all of 2014. Of the 2015 motions, fourteen (63.6%) were granted, five (22.7%) were denied, and three (13.6%) were partially granted and partially denied. To view a Motion Success report showing the success rates of these motions since 2008, click here. To view the underlying orders, click on the colored portion of the chart or any number in the data table. The court granted a declaratory relief plaintiff's motion for summary judgment that defendant's crowd-funding patent was invalid for lack of patentable subject matter and found that the claims were directed to abstract ideas. "The [patent-in-suit’s] claims are directed to the concept of crowd-funding or fan-funding, i.e., raising funds for a project from interested individuals in exchange for incentives. . . . These claims are squarely about patronage — a concept that is 'beyond question of ancient lineage.'. . . Moreover, this concept of incentive-based funding is incontestably similar to other 'fundamental economic concepts,' and to other types of 'organizing human activity,' both of which have been found to be abstract ideas by the Supreme Court and the Federal Circuit. Just because the claims do not preempt all crowd-funding does not make them any less abstract."